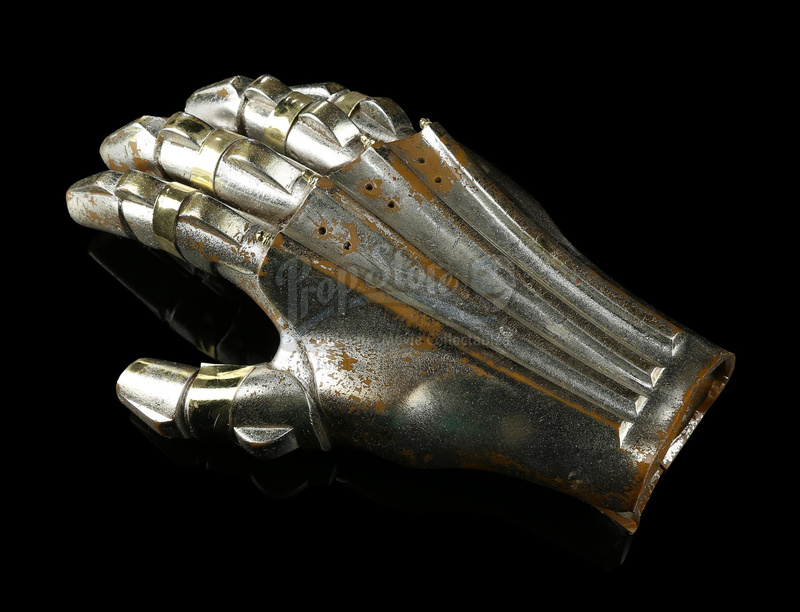 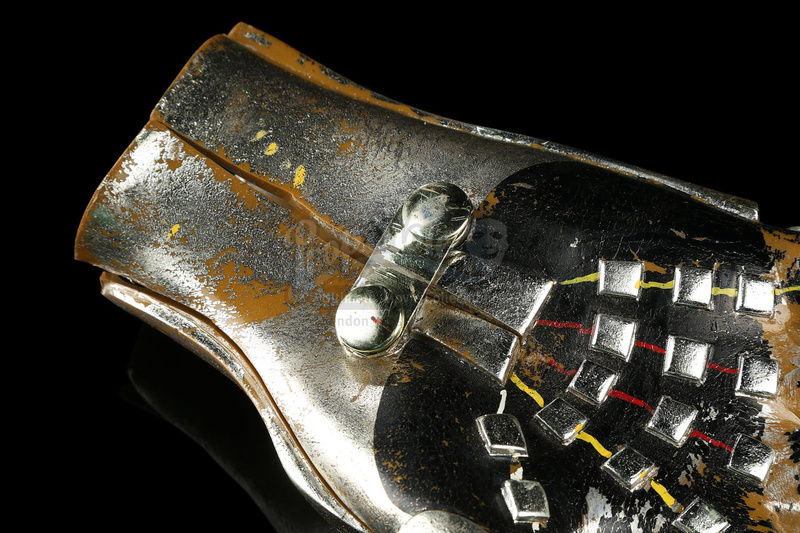 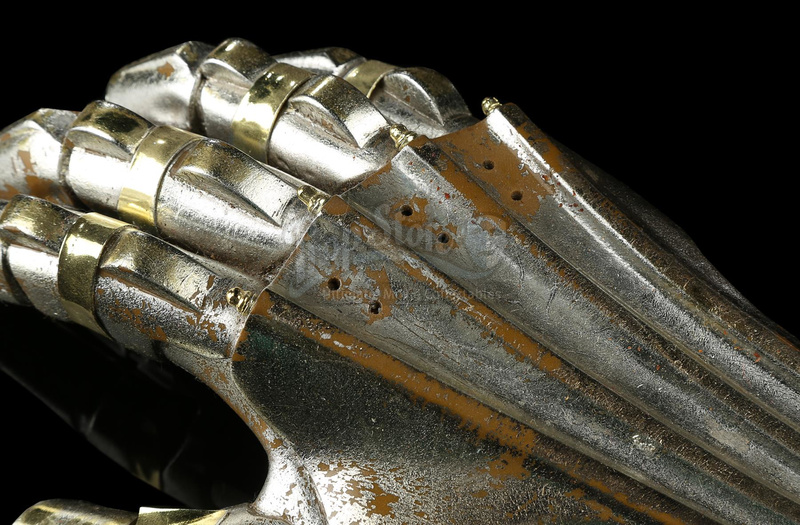 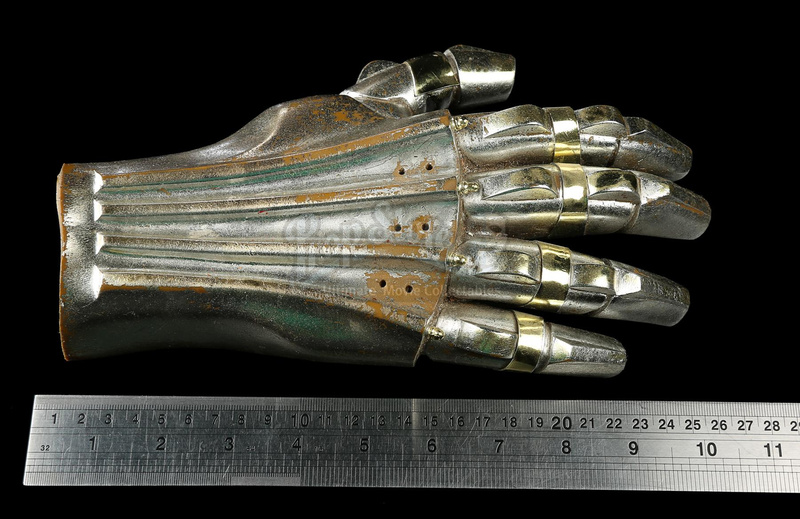 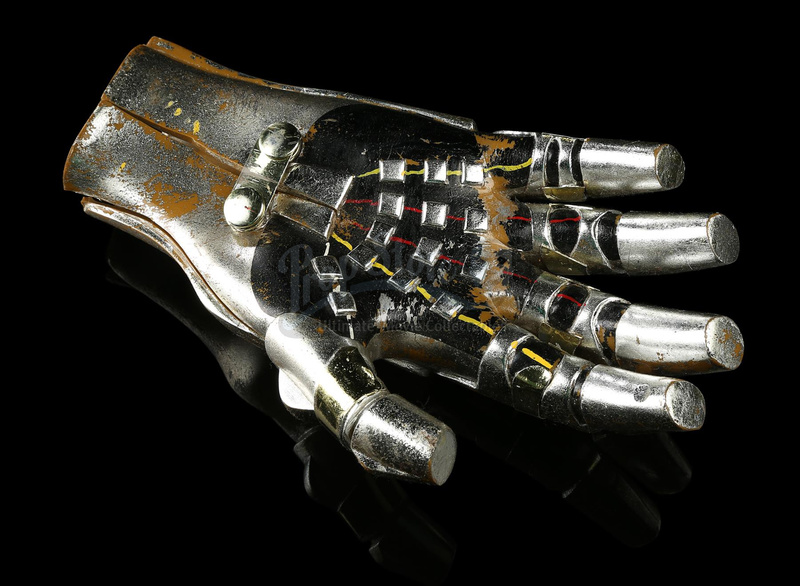 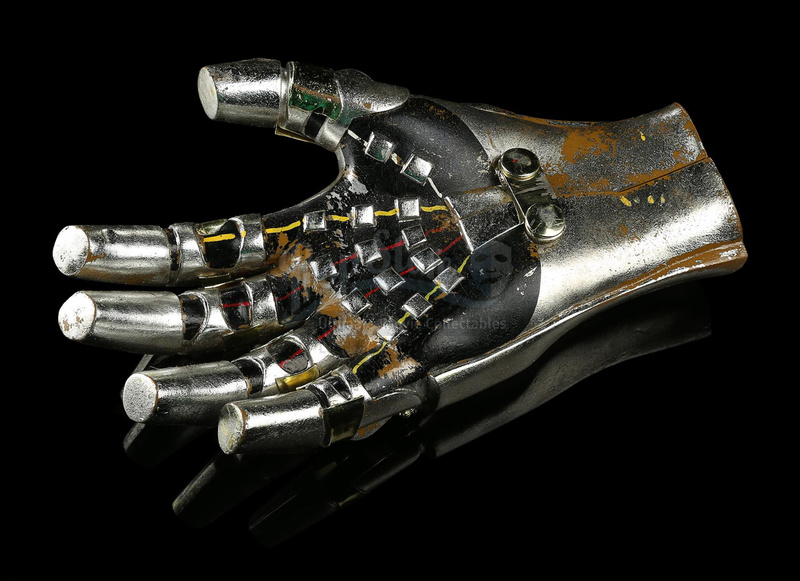 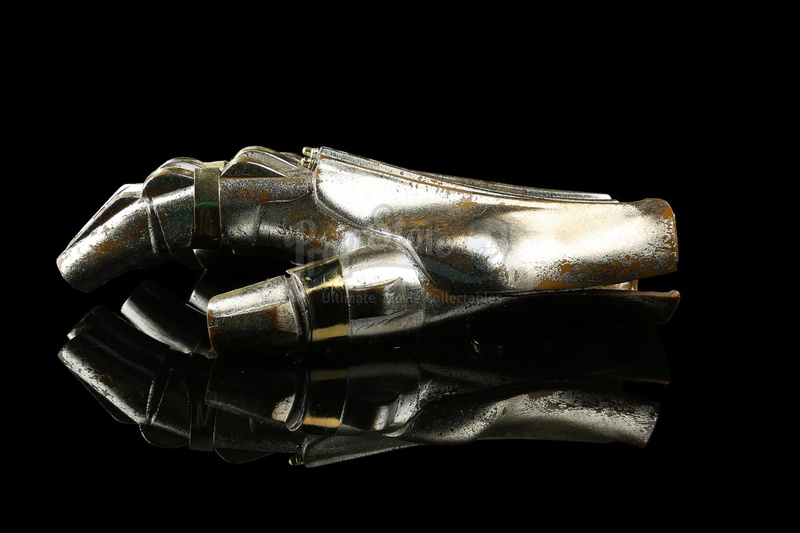 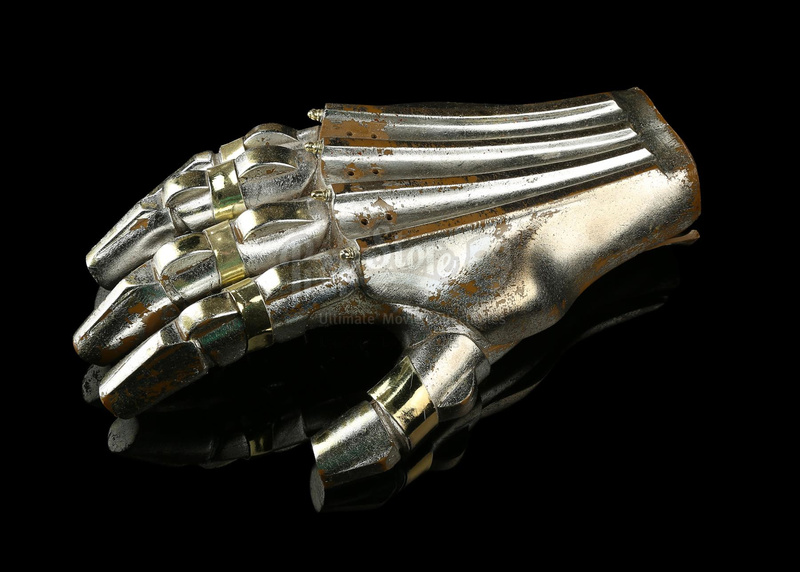 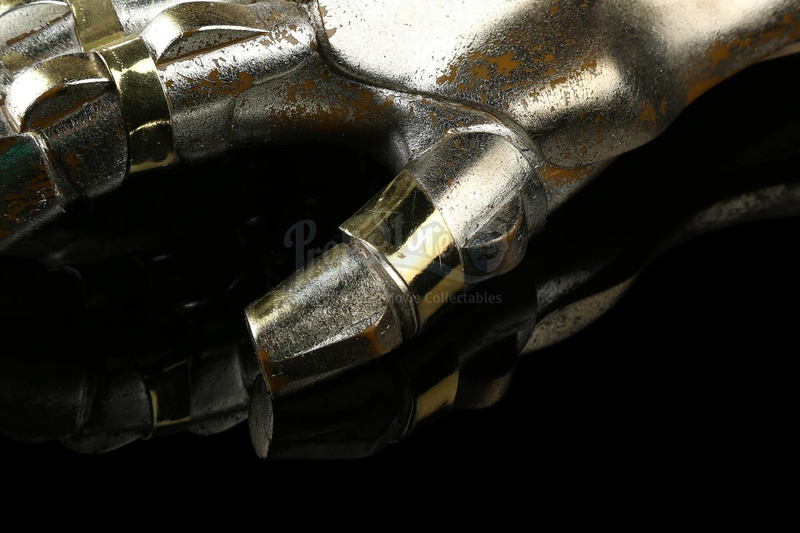 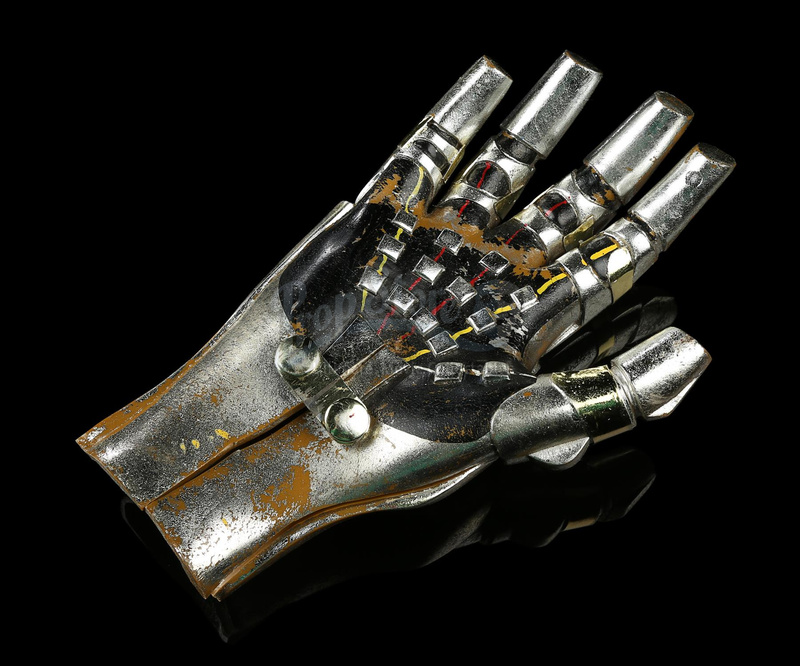 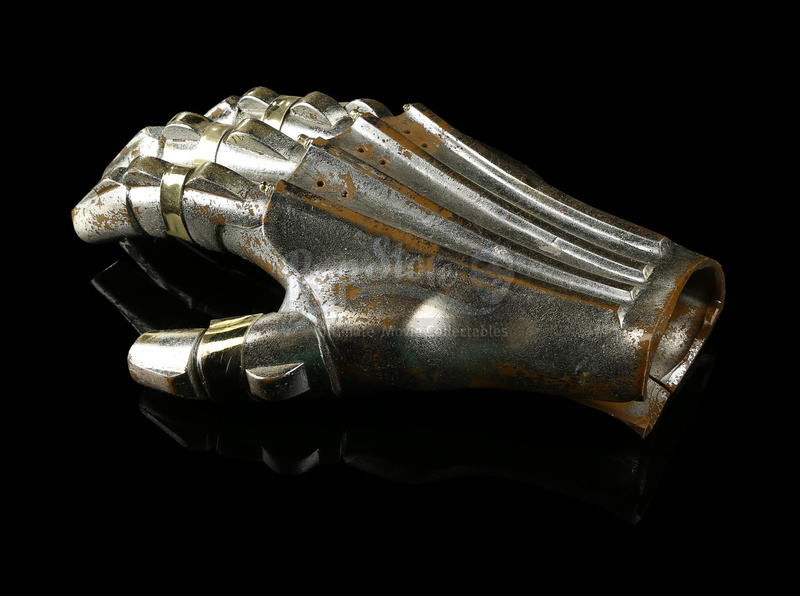 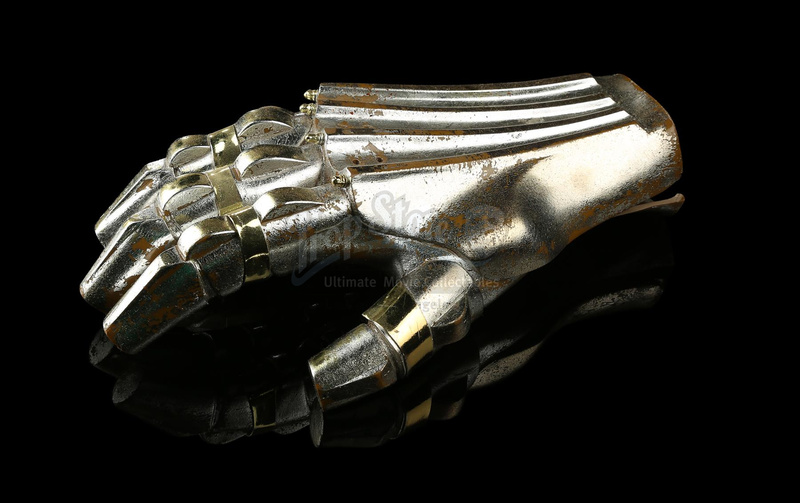 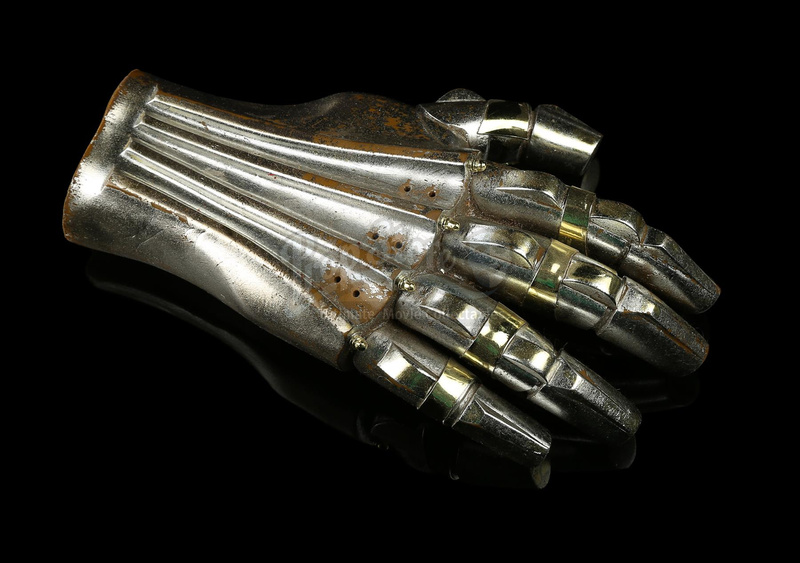 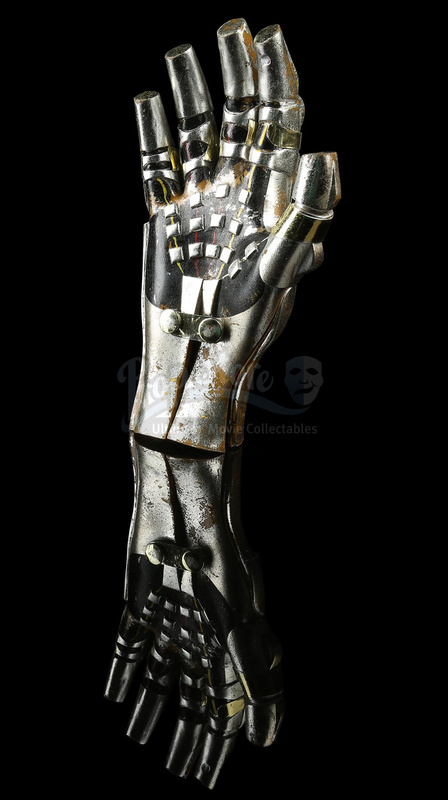 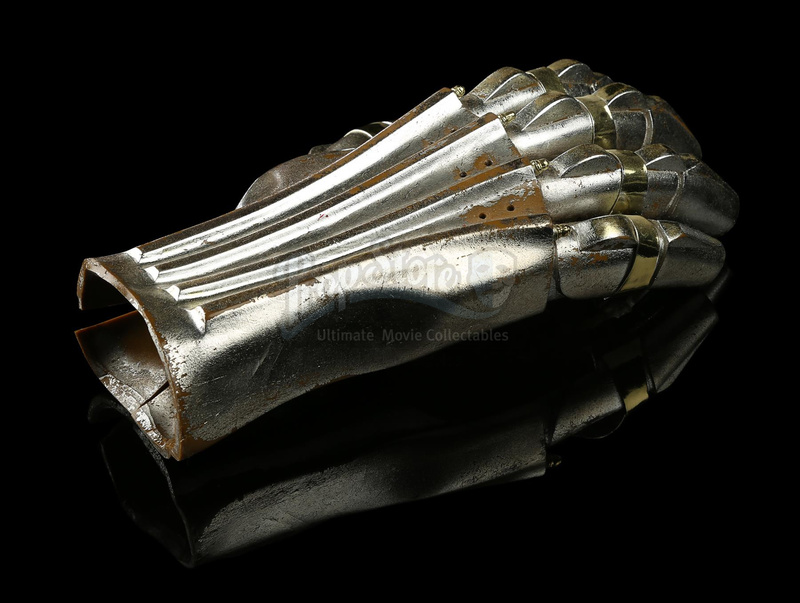 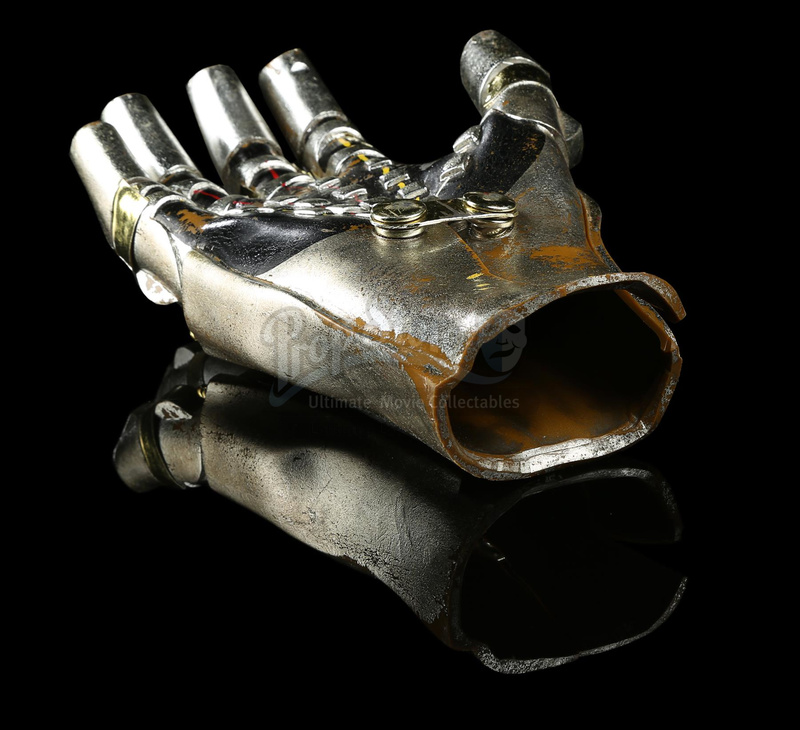 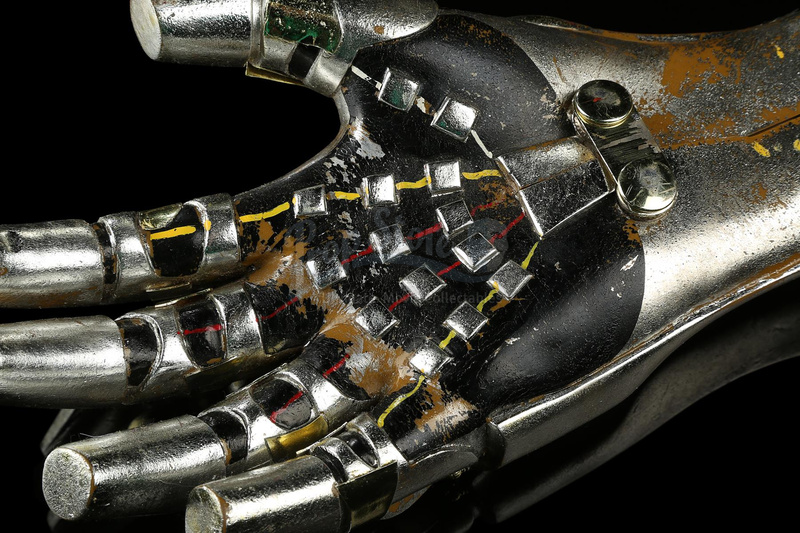 C-3PO's (Anthony Daniels) right hand from Irvin Kershner's Star Wars: The Empire Strikes Back. 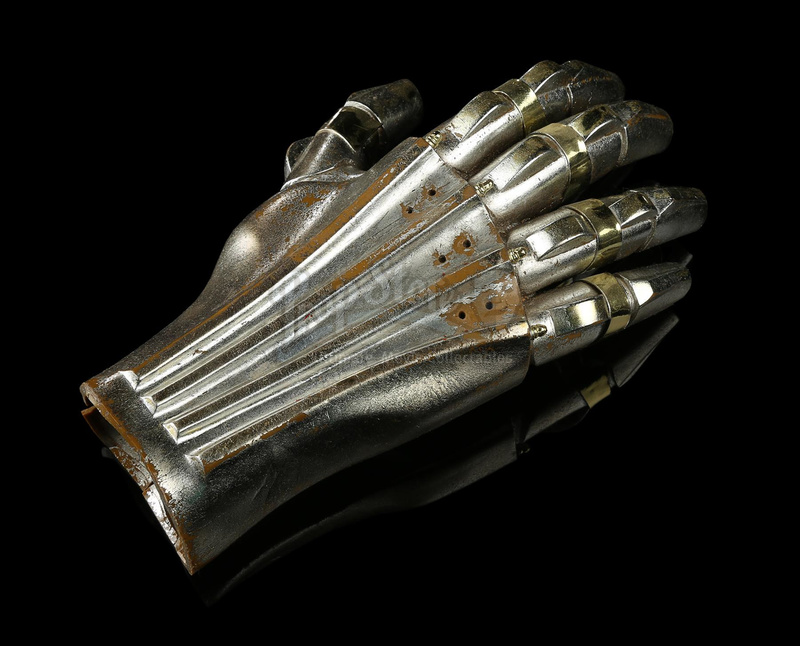 The C-3PO costumes were heavily revised following the production of Star Wars. 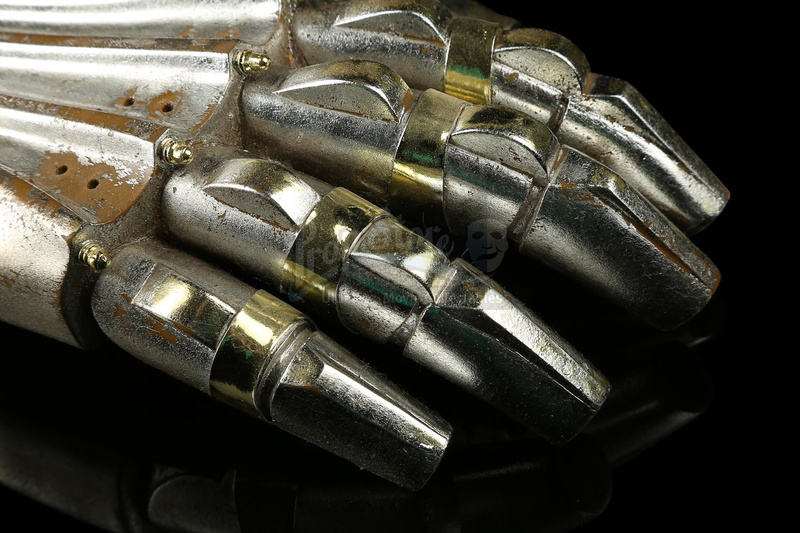 As part of the overall upgrade, the hands were simplified, switching from their original vacuum-formed plastic construction to a one-piece construction in cast urethane, making them hardier, easier to fit and more straightforward to manufacture. 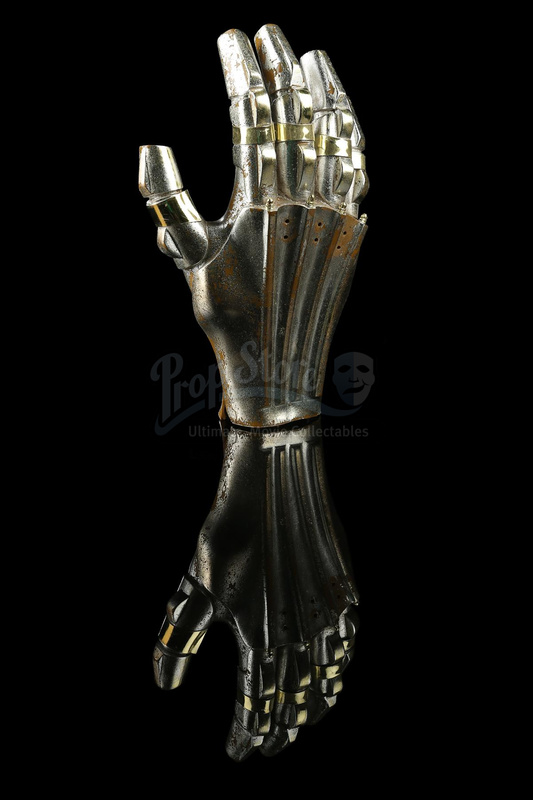 While the change did have its benefits, the new urethane gloves caused issues with Daniels' grip during wear, forcing the crew to heat the gloves up on-set to allow greater flexibility in the material.